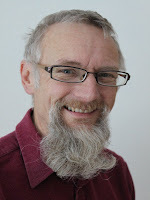 Mark organises the Norwich Greenpeace Active Supporters group and has been active in Greenpeace campaigns for a number of years including taking direct action with the national organisation. His primary interest is the environment and he studied Environmental Science at UEA and recently set up his own environmental consultancy Doxden Environmental Consultants, with his wife Maria. In a previous life he got an economics degree from Manchester University and worked for 25 years in the financial industry, firstly in Norwich and then in London. Marguerite Finn BA (Hons. ): Irish, convent educated. Worked in Australia for three years in 1960s; then worked in Civil Service (HMSO) in Norwich for 25 years. Degree in European Studies involved spending a year in France teaching English. Currently editing the newsletter of EAGIT (East Anglian Group Industrial Trainers). I was a columnist in the Eastern Daily Press (EDP) for six years; I am Vice Chair of the Norwich Branch of the United Nations Association (UNA) and founder member of the Norwich Branch of the Women’s International League for Peace and Freedom (WILPF). Also an ardent anti-nuclear campaigner. David Seddon has worked for over 40 years as a researcher, writer and consultant in the developing world, mainly in Africa, the Middle East and South Asia. He has worked for the World Bank, ILO, IFAD, UNRISD, DFID, DANIDA, USAID, SATA and also for Christian Aid, OXFAM, Action Aid, One World International, War on Want, Danchurchaid and the Lutheran World Federation. Formerly Professor of Politics & Sociology in the School of Development Studies at the University of East Anglia (UEA), he has also been Managing Director of the Overseas Development Group (a non-profit consultancy organisation) at UEA and, until recently, Principal of South London College. He is currently Director of Critical Faculty, an independent consultancy specialising in global issues and risk analysis, and a senior research associate at the Commonwealth Studies Policy Unit. A long-standing member of the Labour Party, he has recently joined the Greens. Trevor Phillips began work in advertising and gained a national business qualification. On reading ‘Blueprint for Survival’ and studying other 1970s revelations about the global environment crisis, he rejected a career promoting consumerism. He graduated in Development Studies at UEA and visited development programmes in Asia. He soon became a professional campaigner, employed by CND then War on Want. He worked for many years for a Labour Euro-MP and was a county councillor. Trevor was possibly the oldest graduate of the TUC's Organising Academy and went on to be a trade union press officer for several years. He has also worked for Red Pepper magazine, CPRE, in industry, and as a college lecturer. He works part-time for a union and freelance as a media and campaigns adviser. Dr. Rupert Read (born 1966) is Reader in Philosophy at UEA specialising in environmental and political philosophy; he is one of the 21 Norwich Green Party Councillors; and he is a blogger writing regularly on sites such as Liberal Conspiracy, Left Foot Forward, Open Democracy, Le Monde Diplomatique, and the Guardian, as well as at Rupert’s Read. His most recent books are PHILOSOPHY FOR LIFE and THERE IS NO SUCH THING AS A SOCIAL SCIENCE. He came within 1% of winning a first European seat for the Green Party in the East of England, in 2009, and also scored the Green Party’s highest-ever result in a Parliamentary byelection, in Norwich North, later that year.